Quit Counting Calories…Make Healthy Lifestyle Changes! Did you make eating healthy a 2019 New Year’s Resolution? Check out these7 Helpful Eating Tips! 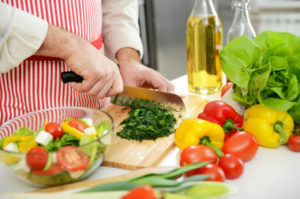 The article highlights 7 healthy eating tips to help tip the scales in your favor! Describing ways to make eating healthy not just a diet, but a lifestyle change. In the article, Carolyn Dunn, Dept. Head of NC State University’s College of Agriculture and Human Sciences, stresses the importance of what is eaten, not just the number of calories consumed. • Food Insecurity...How Could This Be? • Why Should I Eat More Fruits & Vegetables?